Tremont is a region of the Great Smoky Mountains National Park that's only a short drive from Gatlinburg, TN. Though Tremont is not the most popular or well-known area of the national park, that is probably a good thing. As a result, you can explore the treasures of Tremont without having to deal with the crowds. Above all, the Tremont region of the Great Smoky Mountains National Park is a stunningly beautiful region of the park and it is home to some excellent hiking trails. To fully explore Tremont be sure to check out the top 4 hiking trails in Tremont in the Smoky Mountains! Though this hiking trail is not included on most trail maps, it is arguably one of the best short hikes in the Great Smoky Mountains National Park. This moderately difficult 2-mile round-trip hike goes to Spruce Flats Falls, an excellent multi-tiered waterfall that's quite photogenic. The largest of these is about 30-ft. tall and it cascades into a shallow pool that's perfect for soaking your feet in on a nice summer day. 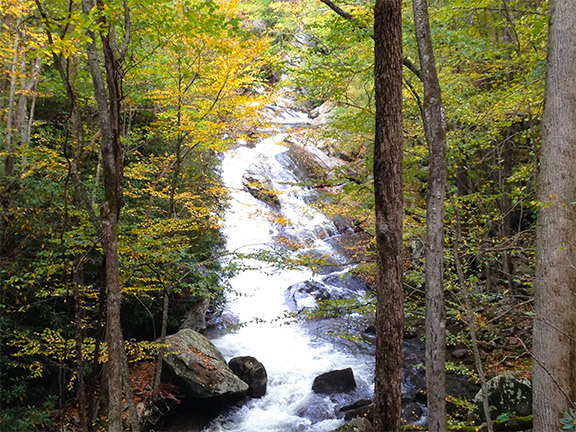 You'll find the trailhead for this hike near the Great Smoky Mountains Institute Visitor center. First, park near the visitor center and walk up a paved road to the Tremont Complex. To the left of this building, you'll see a sign for the Lumber Ridge trailhead. Follow this trail for 0.1 miles and then take a right where the trail splits. The Middle Prong Trail is an excellent hike for beginners since it follows an old railroad bed. This was originally built by a logging company to haul timber from the mountains, so much of the trail is wide, level, and the grade is not too steep. 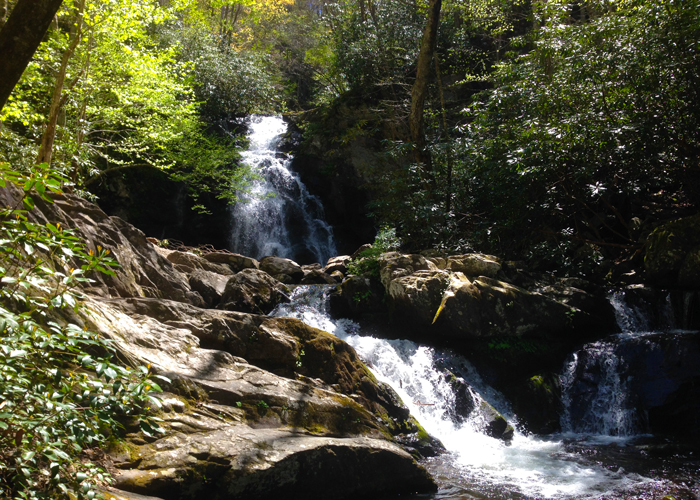 Better yet, The Middle Prong Trail also features several excellent waterfalls and cascades. This trail is arguably one of the best waterfall hikes in the national park since it features 3 large waterfalls and dozens of other smaller cascades to enjoy. 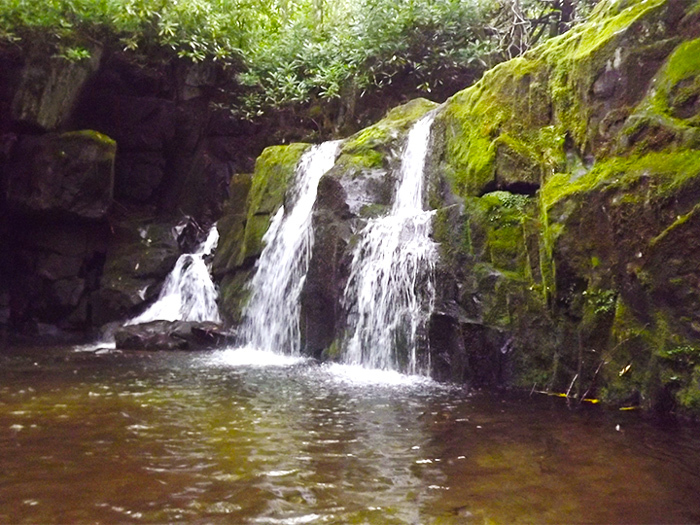 After hiking 0.4 miles, you'll reach Lower Lynn Camp Falls, a 35-ft waterfall. At 0.6 miles in you'll reach Lynn Camp Falls. 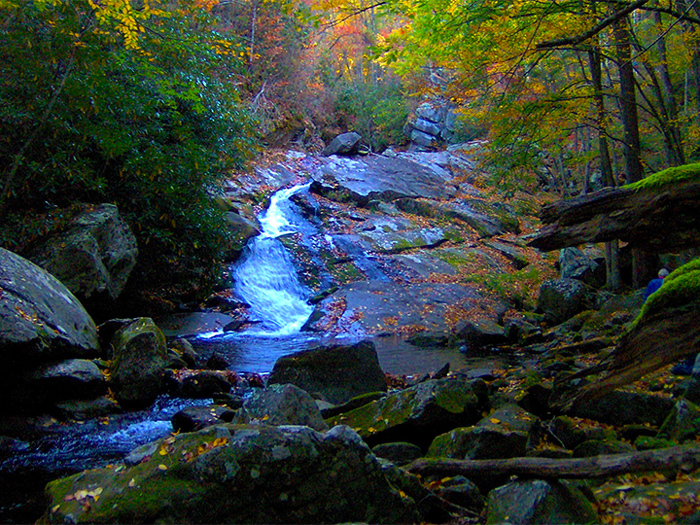 At 4 miles in, you'll find an unmarked side trail that leads to Indian Flats Falls. In between these waterfalls, the trail is dotted with numerous sites of interest, including small cascades and remnants of past logging operations including railroad beams, chimneys, and even a rusted old jalopy. On Tremont Road just before you reach the Tremont Institute, you'll find the trailhead for the West Prong Trail. This lesser-used hike is primarily used by backcountry campers to reach campsite 18, but it's also an excellent day hike! This peaceful forested trail is moderately difficult, but it is not too challenging for most hikers. At 2.1 miles in, you'll reach campsite 18, a picturesque area complete with a meandering mountain stream and a log footbridge. If you'd like to stay overnight at this campsite, be sure to get a permit from the national park service and read up on backcountry camping regulations for the Smoky Mountains. If you'd like to extend your hike, you can continue your hike another 0.6 miles to the end of the West Prong Trail where it connects with Bote Mountain Trail. Though Upper Tremont Road is not technically a trail, there are nice areas to explore along its length. In fact, while this road is nice to drive, there are lots of sights that are better to explore on foot! 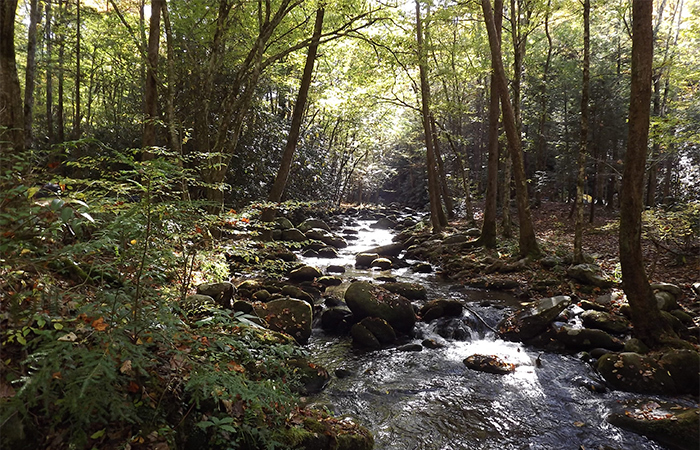 One option for a beginner friendly hike would be to park at the Great Smoky Mountains Institute and walk alongside Upper Tremont Road until you reach the trailhead for the Middle Prong Trail. The first half of this road is paved, but it eventually turns to gravel. This route follows the Middle Prong of the Little River. For much of the road, there is a wide, level shoulder that is safe for hikers to use if vehicles are passing through. Prior to the formation of the Great Smoky Mountains National Park, several families made their home in the Tremont area by the 1850s. By the 20th century, logging operations had begun in the area. To this day, you can see evidence of past logging activity in the form of cables, railroad beams, and other metal items. The lower Tremont area was home to a logging town, while other areas like the Upper Middle Prong Trail was once a railroad grade for hauling timber from the mountains. By the 1930s and 1940s, the Federal Government established a CCC workcamp in the Tremont area to provide jobs to unmarried men during the Great Depression. During this period, the CCC worked to develop trail systems, build bridges, and develop national park infrastructure that is still in use to this day. Along the Middle Prong trial, you'll see several old chimneys and remnants of old buildings that were once used by the CCC. Today, this section of the park is home to The Great Smoky Mountains Institute, a non-profit outdoor education organization that offers a variety of programs for children and adults. 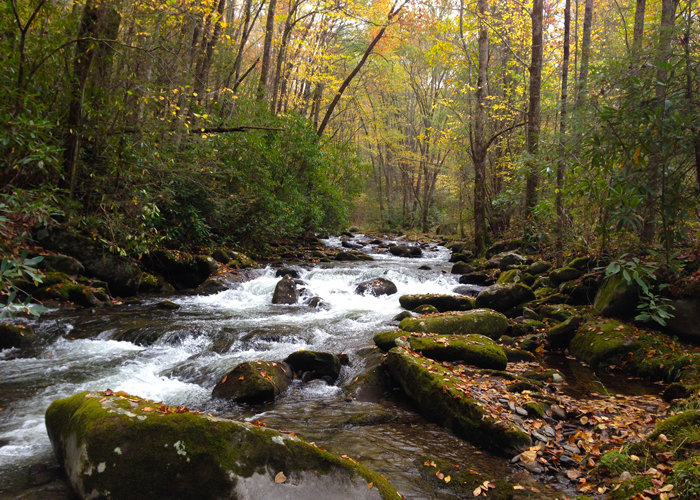 Planning a trip to the Great Smoky Mountains? Check out our great selection of cabins in Gatlinburg, Tennessee for your vacation! Our cabin rentals keep you close to beautiful places like Tremont and they also come complete with excellent amenities like hot tubs, pool tables, and decks with mountain views. Feel free to contact our reservations office at (865) 436-5031!